The owners of Cover Story Media, Inc. set up two donor-advised funds with the Foundation, through which they give recurring gifts to a variety of nonprofit organizations dear to their hearts. Not only was the decision tax-advantageous, it also simplified their philanthropic planning. One of the Schenkers’ favorite local nonprofits is Project Pearl, which helped them adopt their beloved dogs, Bella and Lily. Project Pearl supports Forsyth County Animal Control’s foster program through photography, medical fostering, and education. Alex is also partial to National Public Radio, which he began listening to as a child after his family moved from Switzerland to California. “It is nice to listen to WFDD in the morning and hear your favorite story and know that you contributed to the budget that supported it,” he explains. The couple met in 2002 in Los Angeles, where Alex worked as a web developer and Michelle worked in marketing for Mattel. But a job offer from Sara Lee lured Michelle back to North Carolina two years later, while Alex followed his dream of returning to his native country. 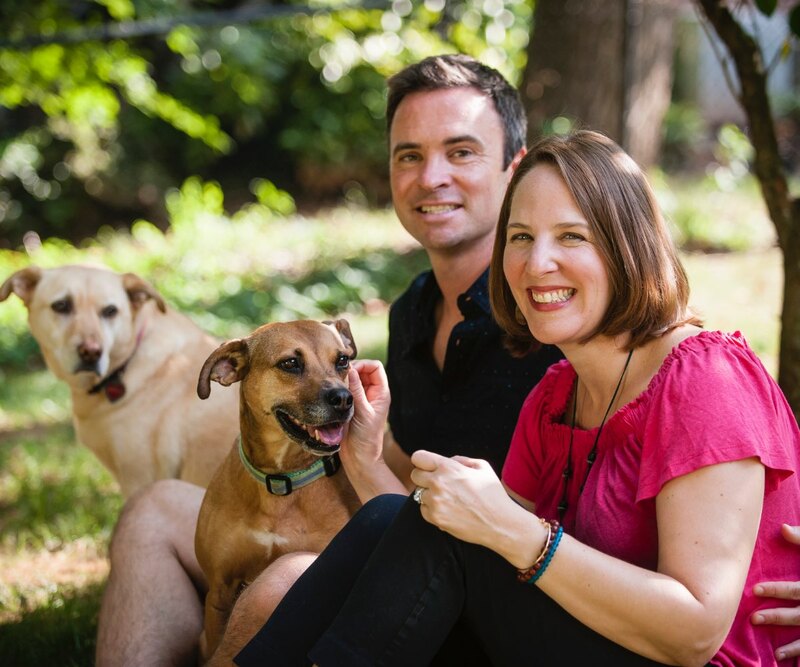 Michelle threw herself into life in Winston-Salem, buying a house, adopting a dog, and meeting new friends. As for Alex, he missed Michelle and followed a few months later. “I realized Switzerland was just a place, and she was more important,” he says. The two now work together running Cover Story Media, which Alex founded in 2005. The Schenkers, who married in 2008, are among the Foundation’s youngest fundholders. The couple’s desire to give now, while they can see the fruits of their philanthropy, drove their decision to engage with the Foundation. The Foundation has become a trusted resource when they need advice on where their dollars can make the greatest impact.